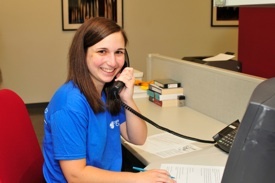 Nashville Opera offers a wide variety of opportunities to engage volunteers. If you would like to support the performing arts through volunteer service; we would love to partner with you! Our volunteer opportunities are mainly performance and special project based, customizable to fit into your lifestyle. They are distributed through an e-mail list serve and assigned on a first-come, first-served basis. Some of them include perks, such as getting to attend performances and special events!. YOU decide your level of commitment. To begin receiving these opportunities, please fill out and submit the form below. Emails will only be sent when we have upcoming projects and you can take your name off this list at any time.